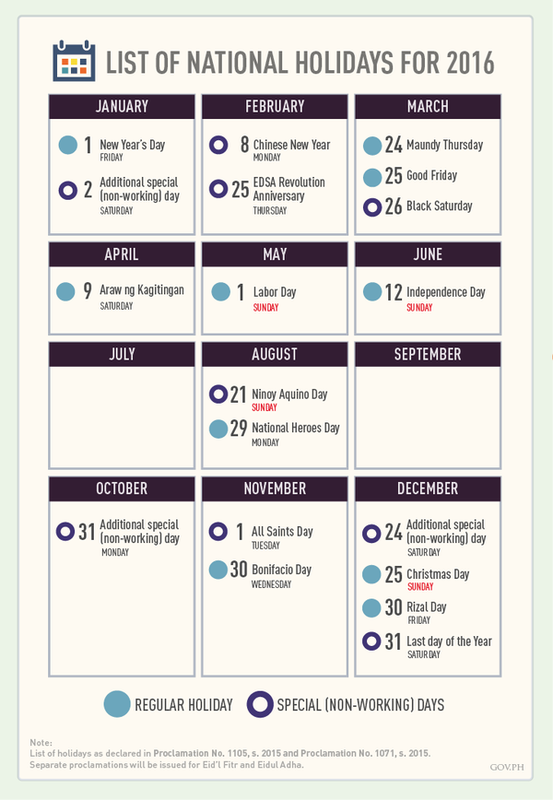 MANILA, Philippines - The Malacañang Palace recently announced the official list of national holidays (regular and special or non-working holidays ) for the year 2016. President Benigno S. Aquino III through proclamation no. 1105, s. 2015 declared 19 Philippine holidays. Separate proclamations will be issued for Eid'l Fitr and Eidul Adha. Here's the official list of holidays for 2016. Mark your calendars now. Plan ahead for your 2016 long weekends which are following: January 1 to 3 (New Year), February 6 to 8 (Chinese New Year), August 27 to 29 (National Heroes' Day), September 10 to 12 (Eid'l Adha), October 29 to November 1 (Undas), and December 30 to January 2 (Christmas and New Year). 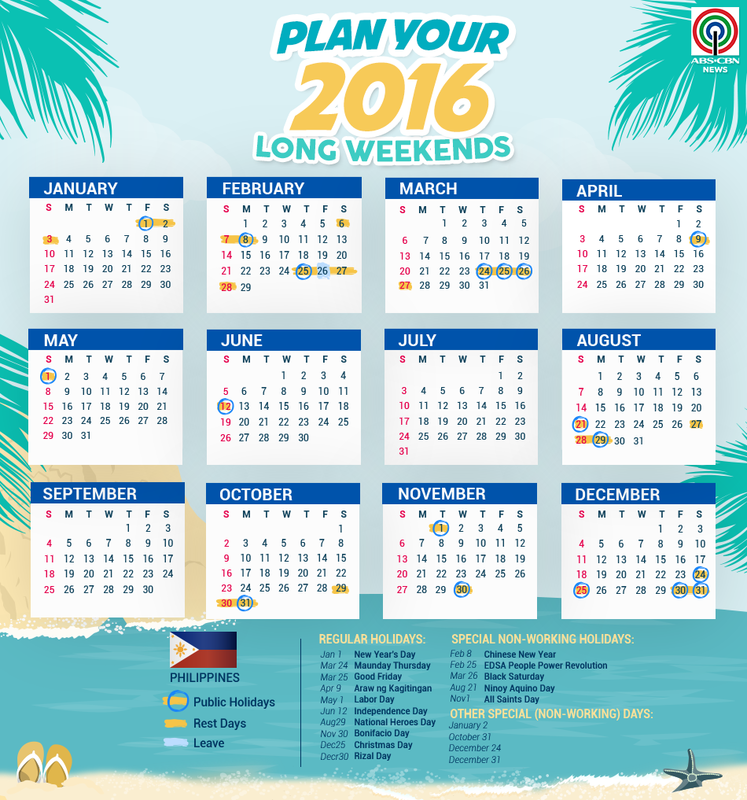 Infographic Long Weekends 2016 courtesy of ABS-CBN News. On February 8, 2016, Chinese nationals all over the world will celebrate their Spring Festival, popularly known as the Chinese New Year, which is one of the most revered and festive events celebrated not only in China but also in the Philippines, and such date may be declared as a special (non-working) day without detriment to public interest. Meanwhile, the country will commemorate the 30th Anniversary of the EDSA People Power Revolution on February 25, 2016 which restored and ushered political, social and economic reforms in our country.